Yep, you heard that right… a Fluffytorium. What is that? You may ask. 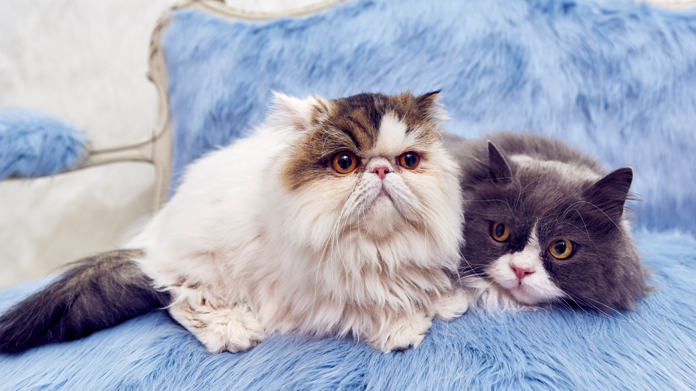 It’s a Soho-based pop-up covered floor to ceiling in long, soft and colourful fluff that is filled with some fur-nomenally fluffy animals from Chow Chows to Persians, Poodles and Pomeranians (if it’s fluffy, it was there). We rounded up these extraordinarily fluffy animals to celebrate the launch of the new title from the wonderful people at Guinness World Records, Amazing Animals, a book totally dedicated to the fastest, tallest, strongest, furriest and most talented animals on the planet. Open to the public for only two days, we had over 5,000 applications to come down and experience the fluff first hand, grab a specially made milkshake, take photos in the human-sized Instagram kennel and relax with the array of animals, including Instagram superstars Zog the Chow and Perla the Persian. The initial announcement was a huge hit, with coverage appearing on the Metro three times (including one piece that has been shared over 2.6k times), Time Out three times, Secret London, First News, Londonist as well as a host others. Once the fluffy doors opened, the coverage kept streaming in. National highlights included a cracking piece on page two of the Evening Standard, photo of the week on The Guardian as well as video content that landed on the Daily Mail and the Evening Standard. To add to this haul, AP, ITN and PA captured some video content on the day resulting in the Fluffytorium featuring on ITV News and even in the morning segments of news broadcasts across the Atlantic. Some stellar coverage across the board, not a week we’ll fur-get in a hurry.